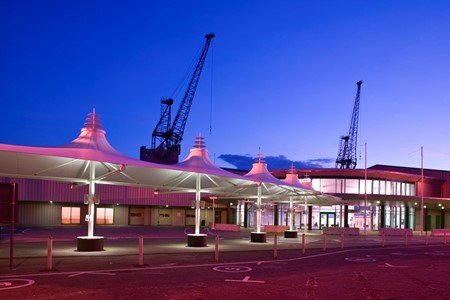 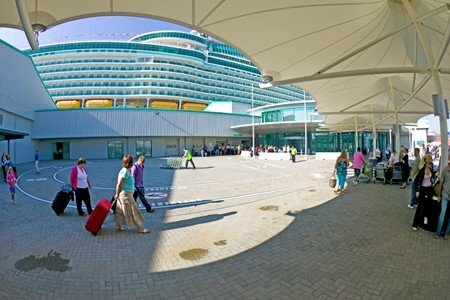 Over £9 million was invested in refurbishing the UK’s number 1 cruise port, enabling the terminal to accommodate some of the largest cruise vessels afloat. 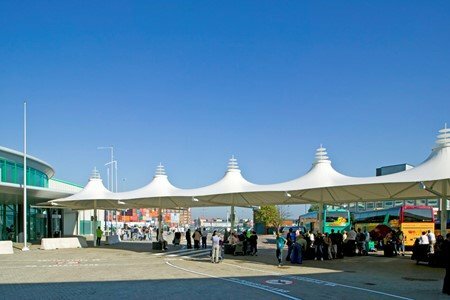 Part of the refurbishment included a 320m2 curved fabric structure providing a much needed all-weather walkway for travelers moving between terminal buildings. 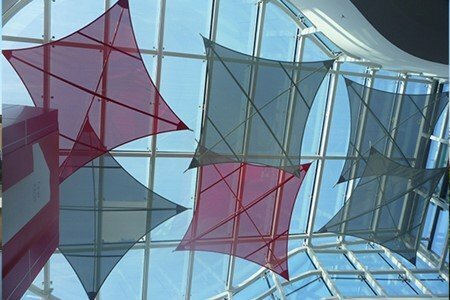 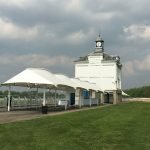 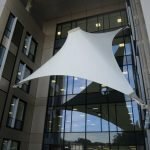 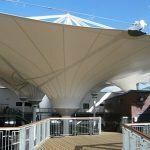 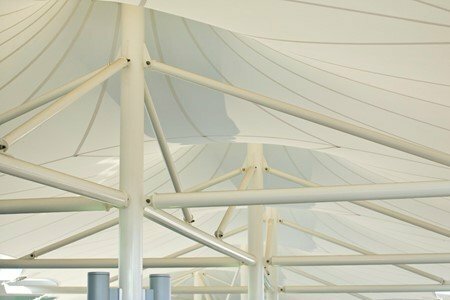 The design for this bespoke six-peaked conic tensile fabric structure was complicated by a 46m curved walkway. 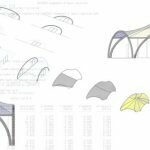 Patterning the fabric for a structure to imitate the curve exactly was an engineering challenge and one that Fabric Architecture relished. 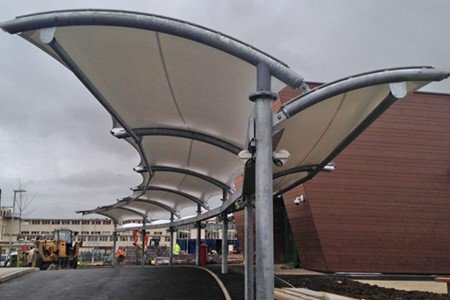 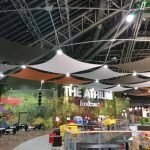 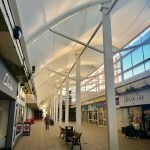 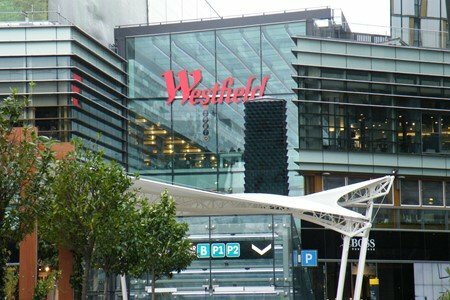 The 40m x 8m curved fabric structure was installed as a single fabric unit requiring a unique triple crane lift to hoist it onto its bespoke steel framework. 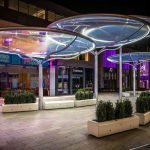 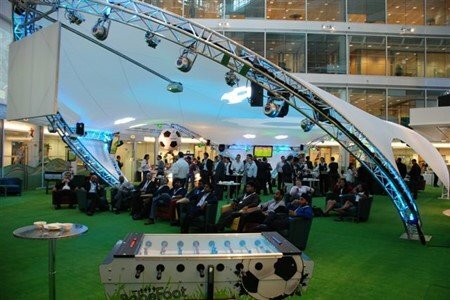 The walkway canopy also serves as a meet & greet space with integrated seating and lighting around the columns. 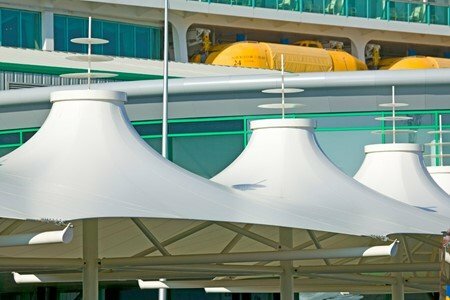 The fabric structure features iconic ‘cake stack’ head-rings adding to the nautical theme of the coastal port. 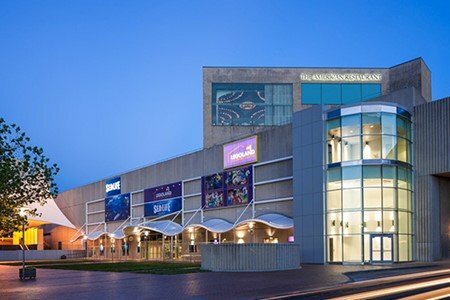 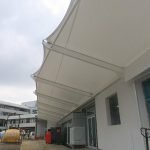 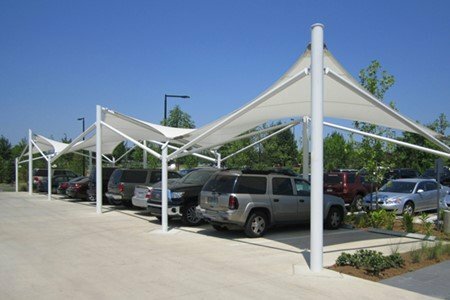 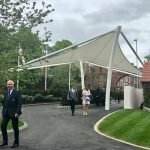 To ensure the space is dry, the structure over sails and under sails connecting buildings and a fabric rain gutter was installed around the perimeter of the canopy. 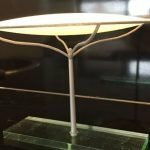 The result is functional and beautiful.